CSIO Recruitment 2017 Notification: The Central Scientific Instruments Organisation (CSIO) is ready to fill up 31 Technician vacant position in the organization. For that purpose, it is released an advt named as CSIO Recruitment 2017 Notification. Candidates those who are searching for the Latest Chandigarh Govt Jobs can apply for this latest recruitment which is released by the Central Scientific Instruments Organisation (CSIO) on its official web page. If you have any doubt about the recruitment check this page and clarify your doubts. Applicants those who obey the eligibility they can apply for these position before the last date of the application form which is 03-11-2017. All applied aspirants on or before the last date of the application form they will take a part of the selection process. So you have to get ready to face recruitment rounds likes Written examination or personal interview are the selection rounds. The officials of the Central Scientific Instruments Organisation (CSIO) has didn’t exactly mentioned about the Selection rounds. But it would be better to prepare for the recruitment rounds in order to face a competition. Applicants those who got selected by clearing all the recruitment rounds they will get the attractive pay bad as per norms of the Central Scientific Instruments Organisation (CSIO). Aspirants who are willing to apply for these positions they must satisfy the eligibility according to the CSIO Rules. 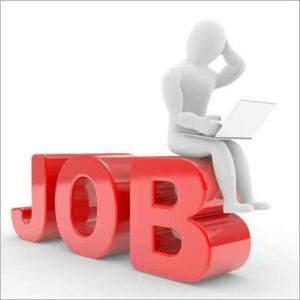 Candidates who are ready to apply for these positions then they must be complete the Secondary School Certificate / 10th Standard with Science subjects with minimum 55% marks plus ITI certificate in Plumbing/Drainage Cleaning Trade / National / State Trade Certificate in the aforesaid relevant trade / 2 years full-time experience as an apprentice training from a recognized institution in the aforesaid relevant trade and Preference will be given to those aspirants who are having some working experience as the educational and work experience are eligible apply for the CSIO Openings 2017. The organization is provided good pay bad for all selected candidates. So aspirants who got selected for Technician the organization is going to offer Pay Band as Rs.5,200 to Rs.20,200/- Per Month and along with Grade Pay of Rs.1,900/-. And this is the good pay bad so try to get placed in this CSIO Recruitment 2017. For more information about the notification, you have to go through this page until the end or click on the below provided links to get information about the CSIO Recruitment 2017 Notification in a detailed manner. Applying aspirants age limit is 28 years and The age limit is considered as on the closing date of the application form. So to know the more details about the Age Limitation and Age Relaxation kindly refer the CSIO Recruitment 2017 Notification Or visit the official web page of the Central Scientific Instruments Organisation (CSIO) at www.csio.res.in. According to the CSIO Recruitment 2017 Notification, you have to pay the application fee of Rs. 500/- for the General / OBC Category aspirants and remaining all other Category applicants are exempted from paying the application fee. For more information about the examination fee read the official notification which is provided below sections of this page. To get placed in this CSIO Jobs as a Technician then you have to work hard with the help of the Syllabus and previous paper. So check this page to get updated information about the Syllabus and Exam pattern and sample paper about the CSIO Recruitment 2017. Candidates who are ready to apply for these positions then they must be complete the Secondary School Certificate / 10th Standard with Science subjects with minimum 55% marks plus ITI certificate in Plumbing/Drainage Cleaning Trade / National / State Trade Certificate in the aforesaid relevant trade / 2 years full-time experience as an apprentice training from a recognized institution in the aforesaid relevant trade and Preference will be given to those aspirants who are having some working experience as the educational and work experience are eligible apply for the CSIO Openings 2017. Applying aspirants age limit is 28 years and The age limit is considered as on the closing date of the application form. So to know the more details about the Age Limitation and Age Relaxation kindly refer the CSIO Recruitment 2017 Notification Or visit the official web page of the Central Scientific Instruments Organisation (CSIO) at csio.res.in. According to the CSIO Recruitment 2017 Notification, you have to pay the application fee of Rs. 500/- for the General / OBC Category aspirants and remaining all other Category applicants are exempted from paying the application fee. All applied aspirants will take a part of the selection process. So you have to get ready to face a recruitment rounds like a Written examination or personal interview are the selection rounds. The officials of the Central Scientific Instruments Organisation (CSIO) has did not exactly mentioned about the Selection rounds. But it would be better to prepare for the recruitment rounds in order to face a competition. Visit the official web page of the Central Scientific Instruments Organisation (CSIO) at www.csio.res.in. Or candidates can also check this page completely to get updated information about the notification. Read the Advertisement to know the details about the CSIO Openings.